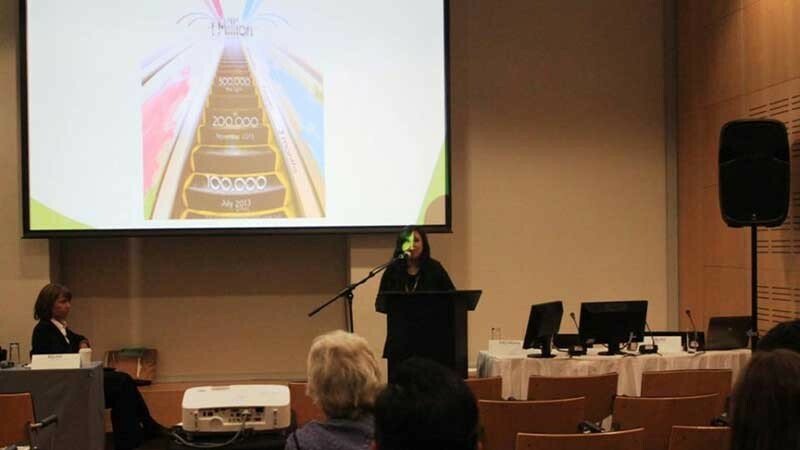 The Third Global Symposium on Health Systems Research was organized at Cape Town, South Africa from 29 September to 3 October, 2014. The event was organized at Cape Town International Convention Center. The event was preceded by several satellite sessions. One of the satellite sessions were on Aponjon : Mobile Alliance for Maternal Action - MAMA Bangladesh and its impact at field level. The satellite session was led by ICDDR, B, who are doing impact studies among Aponjon subscribers. The satellite session, titled, “Mobile health (mHealth) messages in promoting good practices for maternal and newborn health care in Bangladesh” had presentations both from ICDDR, B and Dnet and was held at the symposium venue on 29th September 2014, at 3 PM local time. The session was chaired and moderated by Ms. Allyson P. Bear, Deputy Director, Office of Population, Health, Nutrition and Education, USAID/Bangladesh. Among the speakers, the first was Ms. Rizwana Rashid Auni, CEO of Dnet and Director of MAMA Bangladesh, who provided an overview of the Aponjon program and provided updates on the program. Dr. Fida Mehran, Head of Content of Dnet gave a presentation on features and uniqueness of the Aponjon messages being delivered to the people. Followed by presentations from Dnet, presentations from ICDDR,B showcased findings from qualitative impact analysis of Aponjon program among subscribers. The first presentation from ICDDR, B Scientist, and Dr. Mahbub Elahi Chowdhury highlighted the study design and methodology of the qualitative study from ICDDR, B on the Aponjon program. Earlier that day, a Cross Country Learning Sharing Session was arranged at the Symposium venue where members from MAMA South Africa and MAMA Bangladesh attended as well as the scientists and researchers from ICDDR, B. Along with the other participants Dr. Fida Mehran, Head of Content, Dnet and Ms. Rizwana Rashid Auni, CEO of Dnet and Director of MAMA Bangladesh were also present there. The learning session provided a rich platform for experience sharing among the two programs from South Africa and Bangladesh and also sharing of ideas and crises of running each program.